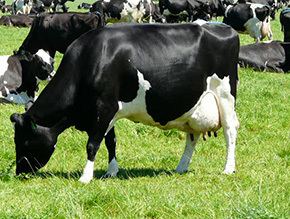 A dairy cow’s lactation is “overlaid” with recovery at the start, mating in the middle and for some, setting up for wintering off farm at the end. In our Peak Performance Programme, when we refer to the lactation we refer mainly to the second half through to drying off. The primary objective during this period is maintaining blood levels. Of course supplements that are designed for this period can be used right through but may not give the full range of results that a more targeted product or programme provides. MCM LACTATION is a trace element formulation designed to maintain blood levels. It follows on from our MCM MATING product as the third step of our Peak Performance Programme, generally starting from 6 weeks after the planned start of mating. MCM LACTATION can be used at differing dose rates according to need so offers a flexible solution. It is available as a soluble powder format which can also be added to pellets/ concentrate mineral pellets. LCL can be used as an exit race trace element supplement on properties where rainfall prevents water supply delivery or as a back up to water supply delivery. In these scenarios selenium should be attended to separately e.g. by injection. TRIPLEMIX contains Copper Selenium and Cobalt. It is a basic maintenance product for these elements. It is available in powder and liquid format. Individual trace element solutions; SELENIUM, COPPER, COPPER GLYCINATE, ZINC, ZINC GLYCINATE, COBALT, IODINE. This ranges allows individual elements to be supplemented and thus target specific areas of need.